Earth and giant asteroid have near miss | UNBELIEVABLE! An asteroid the size of an aircraft carrier whistled past planet Earth at 30,000 miles per hour yesterday. 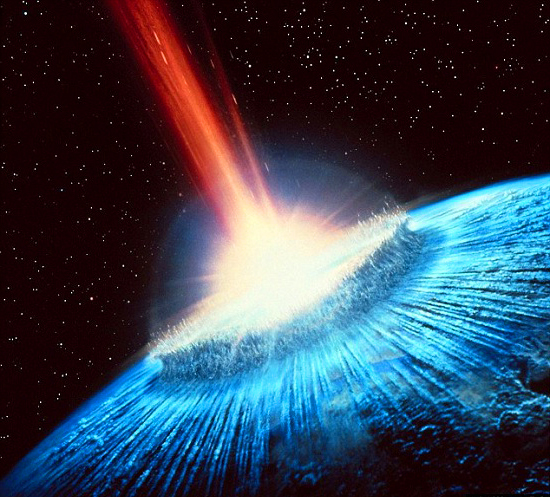 As you can probably tell, judging by the lack of an apocalypse on Tuesday, and the fact you are still here, the giant lump of cosmic rock did not hit our planet. However, it is the closest an asteroid has passed by planet Earth in over 200 years. NASA had been tracking the asteroid – named 2005 YU55 – and confirmed that it had come to within 201,700 miles of our planet. That may sound somewhat distant from us – but that is well over four hundred times closer than the distance to the sun. The next visit by a large asteroid will occur in just under 20 years: we have a regular visitor to our planetary neighbourhood named the Apophis asteroid. It has been calculated to have a near miss with Earth in the year 2029, and again in 2036. NASA can give incredibly precise forecasts of these things. On 13 April 2029, Apophis will pass by Earth and come to within just 18,300 miles of our planet. Put a note in your diary and remember to look up at the sky. Posted on November 9, 2011, in Cosmology and tagged 2005 YU55, Asteroid, Near miss, Space. Bookmark the permalink. Leave a comment.